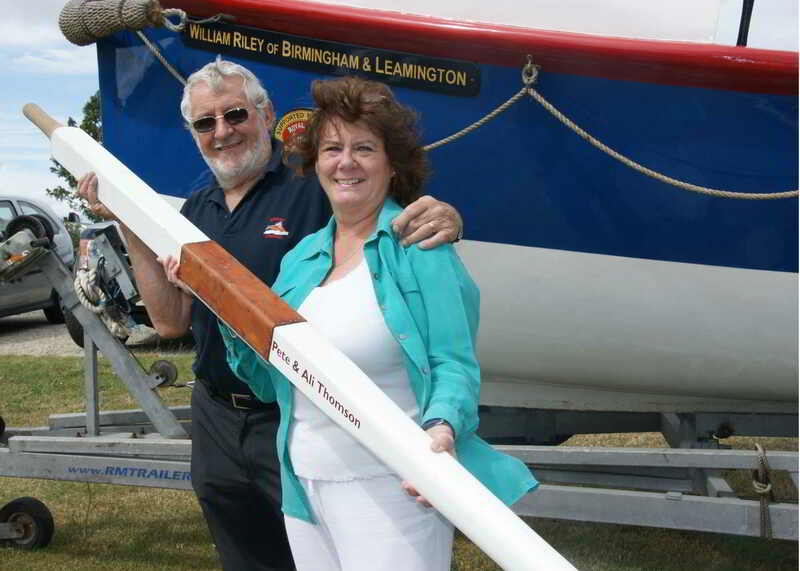 Alison is as much a supporter of the RNLI as Peter is and has ran the lifeboat museum shop for many years and has been the recipient of a number of accolades from the RNLI. It has been no easy feat to run the shop year in year out and she is fortunate to have had a number of volunteers in support. The shop has been more than a business to Alison and she undoubtedly takes great pride in knowing that the shop is one of the best performing RNLI shops in the country. When the William Riley was found, Alison was present at what was effectively the inaugural meeting of the Whitby Historic Lifeboat Trust. Alison used her skills in setting up a minutes and agenda for what was then a fledgling charity. The eventual trustees were chosen and accepted Peter was willing to take on the role of Chairman and Alison later went on to help the charity with regards towards the health and safety of the workplace. Both Peter and Alison spent many years as part of the lifeboat station management team, an experience that has no doubt helped them with their many RNLI roles.